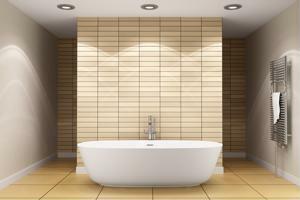 When most people think of bathtubs, they associate the image with relaxation and cleanliness. Some people enjoy lighting an incense candle, filling the tub with bubble bath suds and letting their cares drift away. Then there are those who prefer to attach wheels to their bathtubs, and go hurtling down grimy hills. It takes all kinds, as the saying goes. According to the Foothills Focus, an Arizona weekly newspaper, twelve bathtubs will compete in a downhill bathtub race at the Cave Creek Wild West Days festival on Nov. 3. Two-to-four person teams - with at least one racer pushing the bathtub while another steers - will fly down the Cave Creek Road, after launching the race at a starting line next to Big Earl's Greasy Eats. Participants will be charged a $40 entry fee, and individuals under the age of 18 are not permitted to race. But just as sportsmen in other nations participate in slightly altered versions of the same sport, bathtub racing is a slightly different style of competition in its country of origin. Canadian bathtub racing involves strapping a boat motor to the back of a customized bathtub, and blasting around the water in a predictably rambunctious manner. According to a website known as Canada Cool, The International World Championship Bathtub Race began in 1967 in British Columbia, where almost 50 competitors embarked on a nearly 40 mile water-race all the way to Vancouver. Now a highlight of a summer festival in the Canadian city of Nanaimo, participants, nicknamed "tubbers," travel from as far as Australia and are said to spent at least $3,000 each tricking out their bathtub for the wild ride. At the conclusion of the 2012 race, Errington native Clint Heilne made the best time, finishing the race in one hour, 19 minutes and 52 seconds, according to the organization's website. Although the notion of a bathtub race may seem silly, the regulations for entry are surprisingly detailed. In order to qualify for the World Championship Bathtub Race, tubs must be at least 3 feet, 6 inches long. They can be made of any type of material, but the driver, engine, safety equipment, gas tank and additional fuel has to weigh at least 350 pounds put together. The organization that runs the Nanaimo Marine Festival also separates bathtubs into classes, and has an entire set of different regulations for engines and safety.